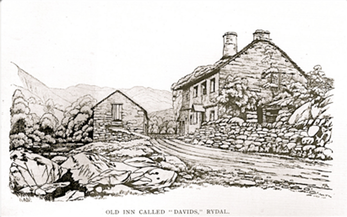 An artist who made soft ground etchings of subjects in the Lake District. 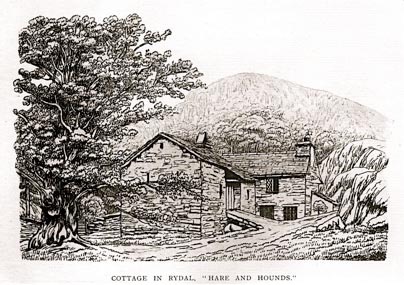 He made several of Rydal subjects. He was born in Manchester the son of a schoolmaster. After showing early ability he was sent to Dr Clarke’s mathematical school in Salford to learn drawing and geometry. This education equipped him to begin a career as a surveyor in 1778, where his fist work was assisting with a major survey] of the County of Lancaster. A meeting with the historian and topographer Thomas West encouraged Green to develop his artistic abilities. He opened two drawing schools in Manchester and later spent a brief period in London where he exhibited work at the Royal Academy and mixed with leading artists of the day. Green’s growing frustration with life in London was compounded by his opposition to the current artistic styles. 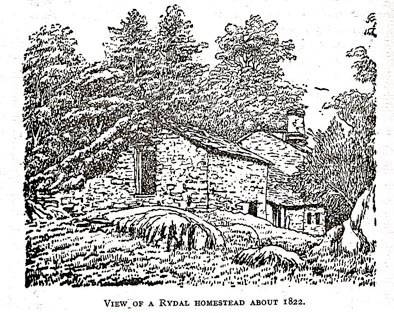 He determined to make his home in the Lake District and ‘adhere as faithfully as possible to nature’. True to his intention, Green’s importance is as one of the first artists to produce accurate and objective images of the Lake District. His novel method is notable, as the artists have all a conventional and uniform style in regard to the representation of mountains. Those of Mr Green are veritable mountains; he says that he knows their anatomy and he is undoubtedly right’. Has committment to the work was reinforced by the fact that he was permanently resident in the Lake District from about 1800, working from hrs home in Ambleside and a studio in Keswick. For the next twenty-three years he conducted his work with a missionary zeal. He recorded his surroundings, venturing into hazardous terrain where there were no access roads, no way of keeping dry and where the only places to shelter were shepherd’s cottages. In 1819 Green completed his major work The Tourists New Guide to the Lake District. 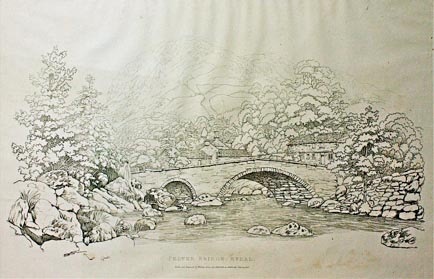 Dissatisfied with his output, he intended to produce a series of studies of the neighbourhood of Kendal and of Preston. Always a physically robust man by 1820 his constitution was weakened by constant exposure to the elements. 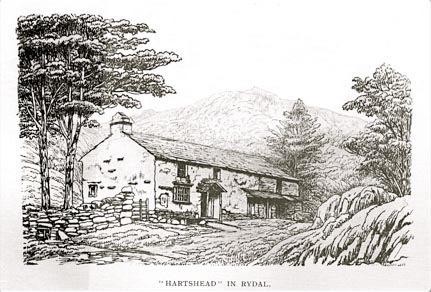 He died in April 1823 and was buried at Grasmere. His friend Wordsworth wrote his epitaph.